Your browser does not support Java, please use the links at the bottom of this page to download the game and get playing online right away. Netrek is a free online war game where you battle in space against fighters around the world on a virtual battlefield. Netrek is a free online war game. 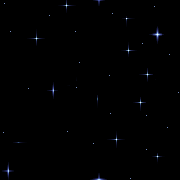 Battle online with up to 16 players per game on a virtual space battlefield. Use different ships and weapons to fight both with and against people around the world. Bombing planets, dropping troops and battling on the front line to overtake the enemy. The ultimate goal is to wipe out the enemy race. Since you are always teaming up with and playing against different people the game is extremely intense. Very addicting and very fun. Multiple servers ready to play on and they are online 24x7. This game is war at its best. The only way to feel the intensity is to download it. If you are a Star Trek game fan, or someone who likes playing space battle games, you should give this game a try. The game is free, all you need is a little spare time to download and try it. If you are in search of help or want to chat with the Netrek community you can use Google Groups to post in the Netrek Forever Google Group. You will usually get an answer within a day. A link for this can also be found under Help and Support. Thank you for visiting the site and have fun! There are plenty of servers online for you to play on. Just install the game, run it and pick a server. Over the years the game has been maintained, updated, and built on by the people who love to play it. 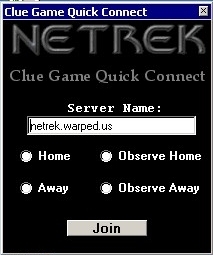 After nearly 20 years Netrek is still alive, still free, still online and still very fun. Netrek XP 2010 v1.0, the newest Windows version provided on this site, includes many new features, incredible graphic and sound enhancements, a new zooming feature, an updated configuration utility and a tutorial for new players. The classic version of Netrek has also been relisted, XP Mod 4.4.0.4. I am listing this version as Netrek Classic. Added an updated tutorial, updated the configuration utility, added the Clue Game Quick Connect program and added the Cambot Helper application that helps you record and playback games. The Clue Game Quick Connect application, both tutorial programs and the Cambot Helper are available as separate downloads. MacTrek 1.5.0 includes many new features and bugfixes.